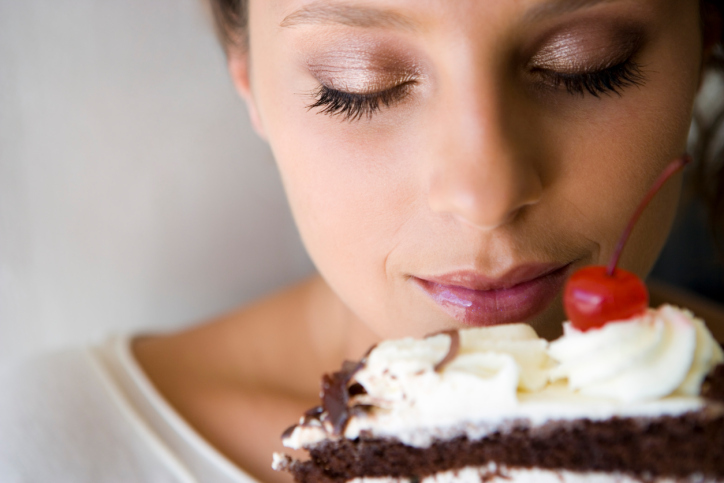 Home » Food and Nutrition » Dr. Kevin’s 5 Top Tips to Fight Those Cravings! Dr. Kevin’s 5 Top Tips to Fight Those Cravings! Yes, it is well into the New Year and your degree of self-control is probably being tested. How are you doing? Do you have conscious control over your natural impulse to eat the certain foods which lead to weight gain? Can you avoid eating inappropriate foods that will prevent you from reaching your weight loss goals? Well, no matter how you change your lifestyle dynamics, if you want to lose body fat and add some muscle to your body, there will be some foods you will have to avoid, at least for a while. According to published research, people who have higher levels of self-control have a much better chance at restraining themselves and are more successful at losing and maintaining normal body weights. In addition, those who think or perceive that they have high levels of self-control and regulation are better at controlling their weight. It has also been established that people who have scored higher in the area of self-control and are successful dieters do not necessarily eat fewer tempting foods than do unsuccessful dieters. What this tells us is that people who are successful at losing weight believe that they have a great deal of control over their choices and can lose weight regardless if they stray from their diet or not. What other related research has indicated is that those folks who are successful dieters and have measurements of high self-control also have lower levels of self-impulsiveness. These people are much more likely to be more successful at managing their food intake. Those people who have problems with their self-control and act impulsively regarding food or display addictive behaviors regarding food intake may want to have some security measures in place. The first measure is when you go grocery shopping, do so after you have eaten a meal. Never go to the grocery store hungry. The second measure is to take a list of healthy food items you need and buy them only. Stay on the outside aisles of the store and avoid the aisles containing the foods you are not allowed to eat. The third measure is to not allow any of the banned foods into your home from any source. If they are accessible to you, you will want to eat them. The fourth measure is to cook all of your own food and do not go out for food unless the menu contains food you can eat and is prepared properly. Checking the menu before you go into the establishment is a requirement. The fifth measure is keeping a detailed lifestyle diary containing your food intake, exercise program, and how you felt each day. Do not weigh yourself. After you have reached your weight loss goal, you can have a cheat meal once per week. This meal must contain normal-sized servings. This meal can consist of whatever you want. As long as you are doing well with your new program, this strategy will not hurt your efforts but you can only have this cheat meal if you have been successful throughout the week. Keller, C., et al., “Successful and unsuccessful restrained eating. Does dispositional self-control matter?” Appetite. December 12, 2013; 74C: 101-106. Nguyen, C., et al., “Eating behavior, restraint status, and BMI of individuals high and low in perceived self-regulatory success,” Appetite. December 8, 2013.
van Koningsbruggen, G.M., et al.,“Successful restrained eating and trait impulsiveness,” Appetite. January 2013;60(1):81-4.